Can data save health IT security? The military’s next battlefield could be moving to a hospital bed. With the growth of new technologies like the internet of things in health care, the security of health IT systems is becoming more at risk. Another challenge is that medical devices are already several years old by the time they’re in active use in the Military Health System. So could better use of data and analytics help make these systems more secure? 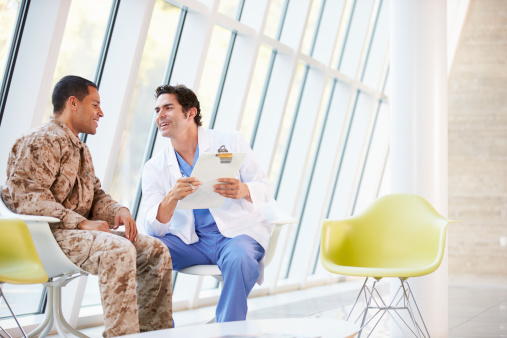 The military health system has a wealth of data and health IT professionals need to harness it to create business and medical intelligence. We don’t need systems to tell us what already happened, but to predict how to best use and position our medical resources to cater to service members and their families. It’s been a long journey since February 2013 when DOD and the U.S. Department of Veteran Affairs announced they would not be pursuing a joint electronic health record and would instead be going their separate ways. As the dust settles on this major development, let’s examine what comes next and what this contract could mean for the COTS community. Last week more than 1,400 government officials and industry representatives from the health IT community met in Orlando for the Defense Health IT Symposium. This conference allowed senior government stakeholders to give updates on some of the major initiatives within DHA and the Military Health System (MHS). Altogether over $50 billion a year is spent on DOD healthcare with about $2 billion that DHA allocates to IT. Department of Veterans Affairs recently released an RFI for the next Transformation Twenty-One Total Technology (T4) vehicle, T4 Next Generation (NG). T4 is the VA’s major systems development contract in support of general information technology (IT), health IT, and telecommunications, to include services and incidental hardware, for customer requirements that vary across the entire spectrum of existing and future technical environments. In short, T4 is one of the most important VA contracts for COTS vendors to be aware of because the current iteration has a $12B ceiling with T4 NG expected to surpass this ceiling.